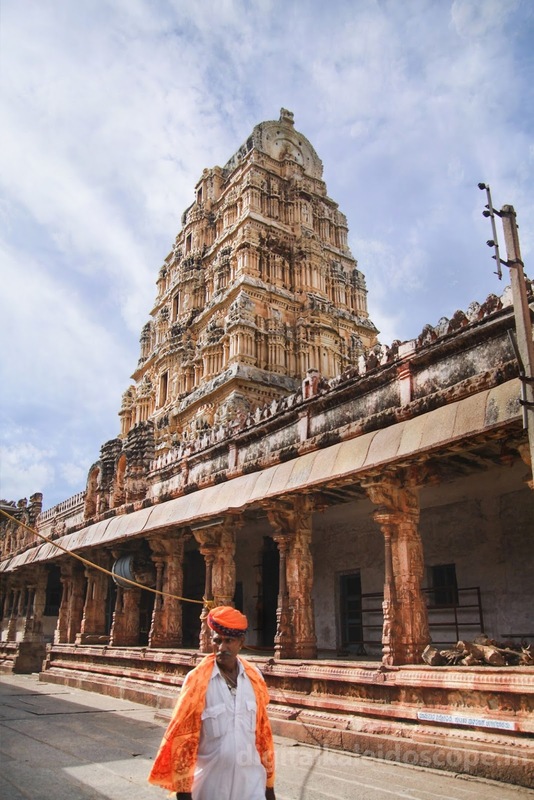 The Virupaksha Temple is located at the heart of the sacred centre in Hampi, a UNESCO World Heritage site in Southern India. 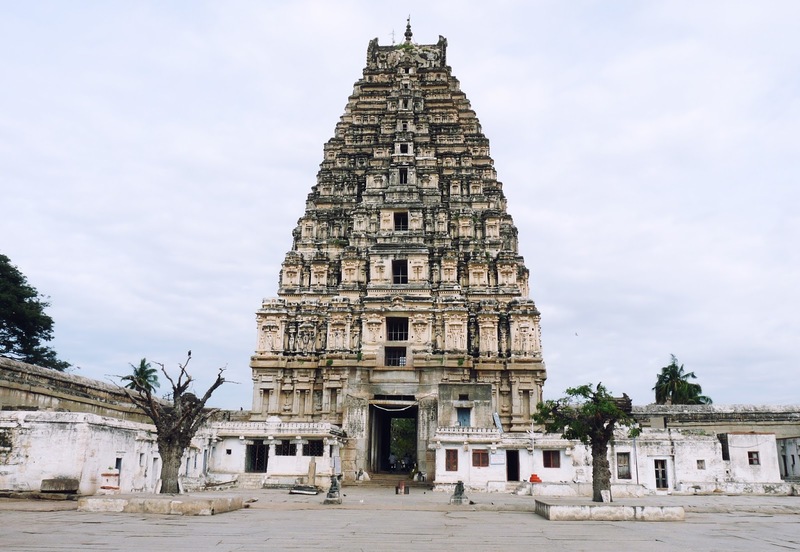 The temple is said to be one of the oldest functioning temples since its conception in 7th Century AD. 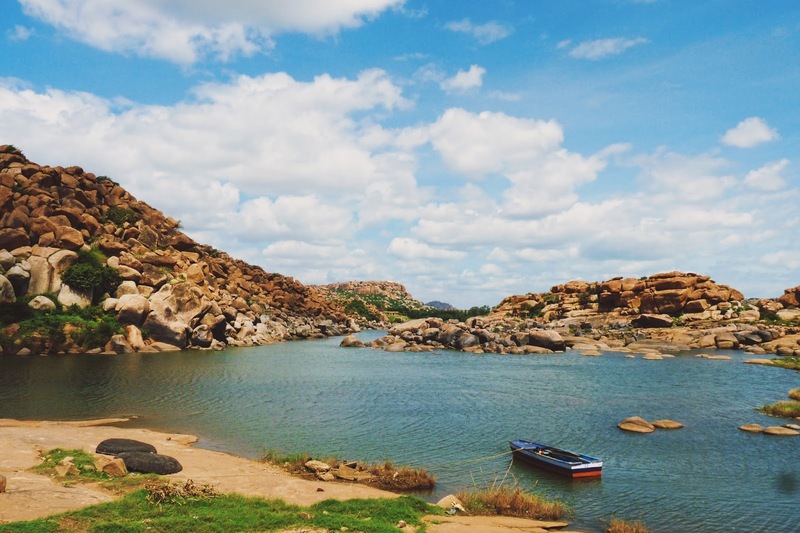 The temple sits majestically on the bank of the Tungabhadra river surrounded by ruins of the old empire; this is the perfect spot to start your Hampi adventure. 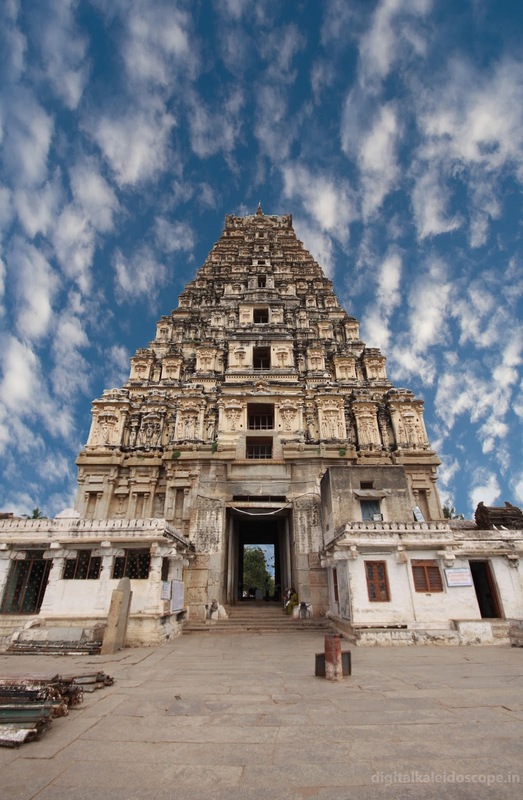 This temple is dedicated to Lord Shiva and is a very important pilgrim site for Hindus. There is an annual festival here which attracts devotees from all over the country. 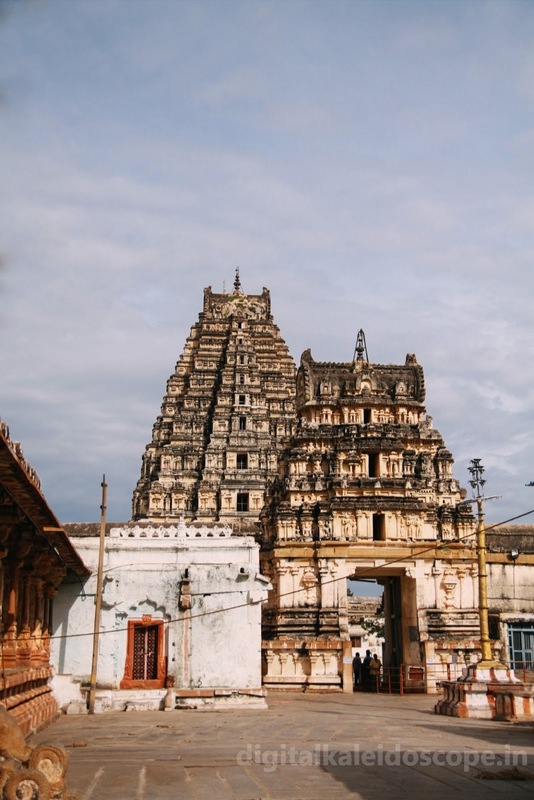 The most striking feature of the temple is the gopuram (holy tower) at the entrance; at 160 ft it is the second tallest temple tower in the whole of India, second only to Meenakshi Temple in Madurai. 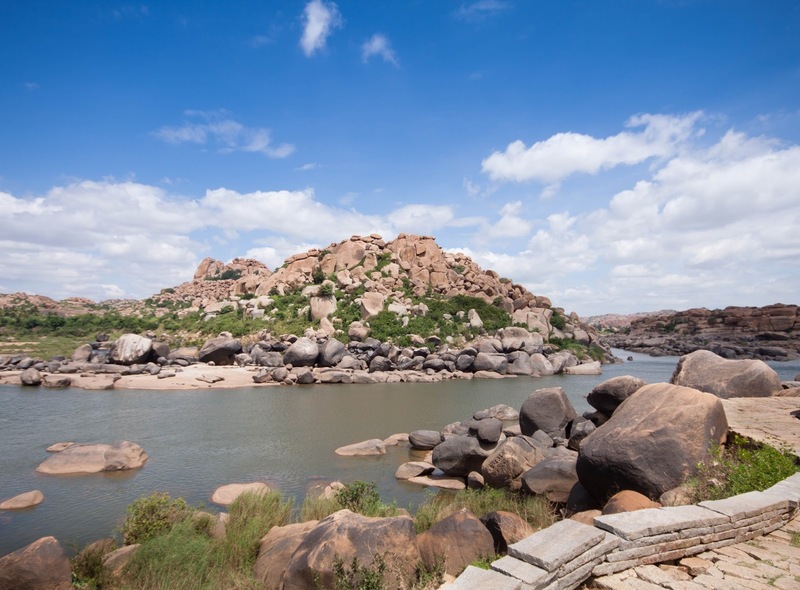 Hampi was the last stronghold of the Hindu empire due to its strategic location with Tungabadra River on one side and mountains of all 3 other sides. 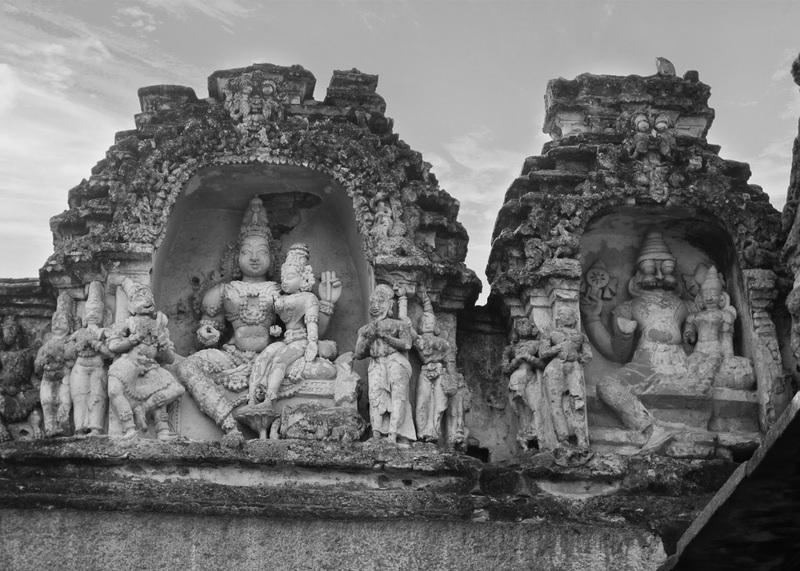 However, the kingdom was overrun by the Islamic Deccan sultanates armies in 15 hundreds and the city was ransacked and raised to the ground. 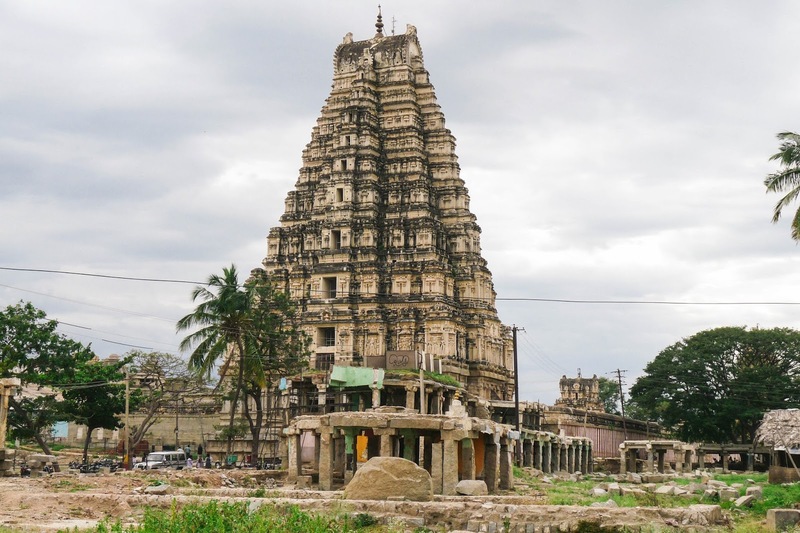 When the marauding armies attacked Hampi they destroyed everything, the only structure of significance that was spared was Virupaksha Temple. Why was the temple spared? 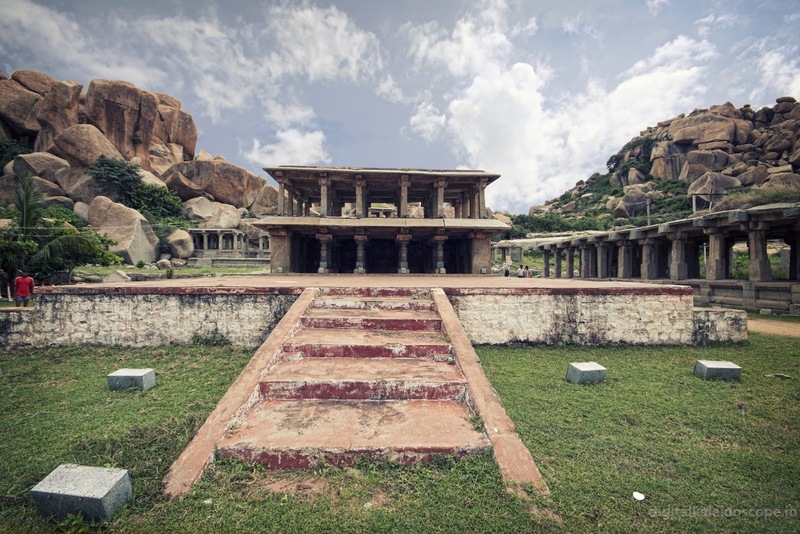 It was considered as an icon of the Vijayanagara Empire. 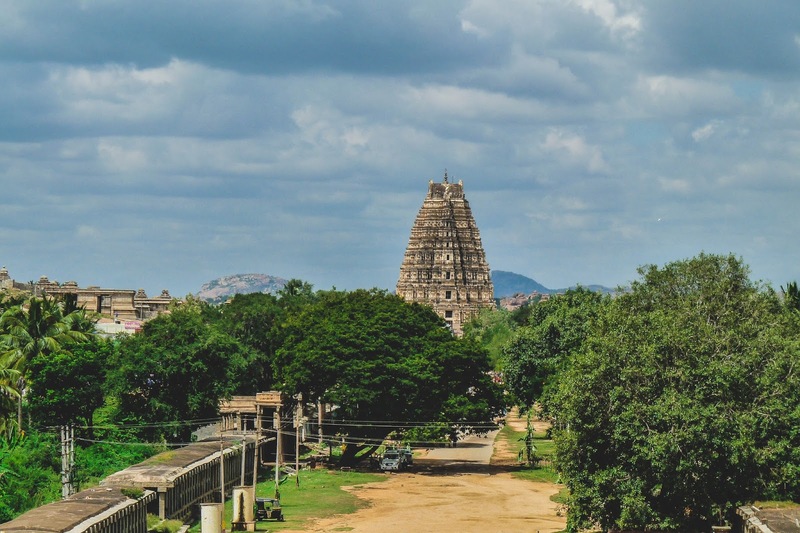 The answer lies in the Royal Symbol of Vijayanagara Empire. 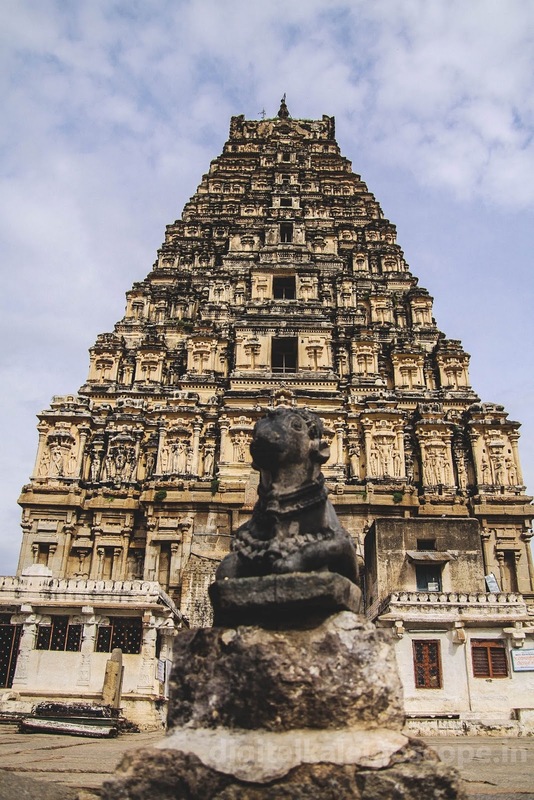 The Royal Emblem consisted of a Moon, Dagger, wild boar and the Sun; The boar was the symbol of Lord Varaha, reincarnation of Lord Vishu and this was there in the front of the temple and I was told that when the Muslim armies attacked they were scared away by the seal of the boar. To Musims the boar/pig is Haraam, something unholy and evil; this could be one of the reasons why the temple was spared. Again, this is what the locals told me, the truth of it I m not sure. Another interest story I heard from the locals was about the big round boulders you find scattred all around the landscape. 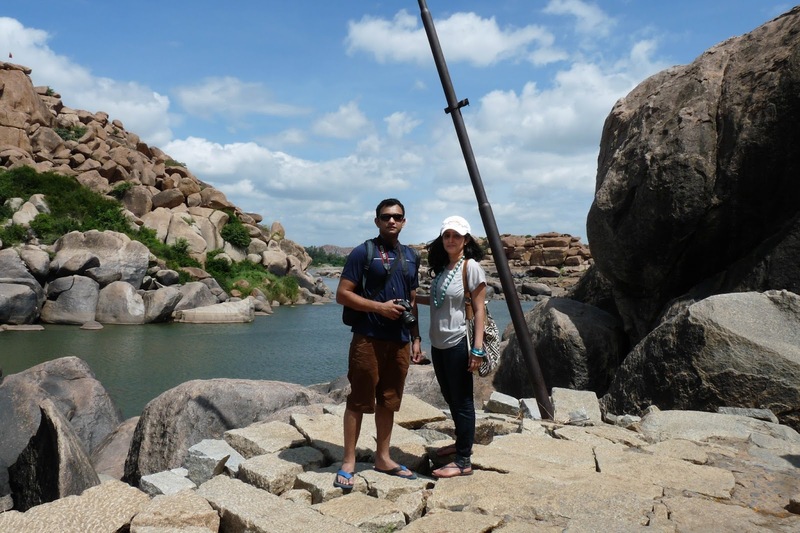 Some people believe that the round boulders were the play toys of the Monkey King Hanuman. But the scientific theory is that the round boulders were carved out by millions of years of strong winds of sand and rain in this area. The temple is very much active and there are religious ceremonies happening every day so its important to respect the culture of the locals. 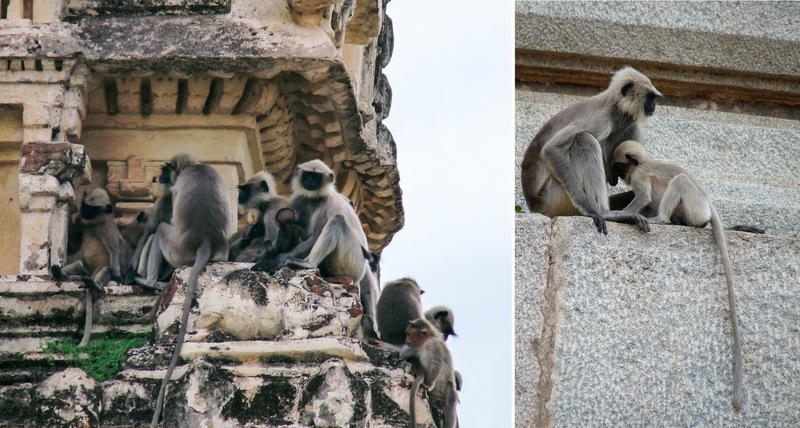 Please make sure you dont disturb the devotes by taking selfies inside the temple and wear appropriate clothing. Photography is prohibited inside the holy sanctum area inside the temple and tripods are not allowed anywhere in the temple.